We are citizens of Australia who want action taken to enforce the law, including the South Australian Nuclear Waste Storage Facility (Prohibition) Act 2000 (abbreviated herein as the NWSF(P) Act 2000). We are sick and tired of being threatened with illegal importation of nuclear waste. We are sick and tired of public money being spent illegally to plan and promote illegal importation of nuclear waste. We want action now to stop current threats of illegal importation of nuclear waste. We want action now to deter future threats of illegal importation of nuclear waste. It is clear that the NWSF(P) Act 2000 has been breached. During 2015 and 2016, s13 has been breached by spending of public money on many promotional and planning aspects of illegal nuclear waste importation, as briefly described in Appendix A. Since early 2016, there has been an open conspiracy to breach s8 and s9, with planning and promotion of importation and storage of nuclear waste into South Australia, as briefly described in Appendix B. There are ten year imprisonment penalties and multi million dollar fines for offences – these are very serious penalties, in accord with the gravity of the threat. As well as these offences against the NWSF(P) Act 2000, there are also other offences, including fraud, which may become more apparent as your investigation proceeds. Please act now to enforce the law. Please act now to end this illegal threat. The kind of analysis pioneered by No2NuclearPower in 2005 on the contribution nuclear power might make to tackling climate change (1) has been updated by Fairewinds Associates. The World Nuclear Association (WNA) has a plan to build 1,000 new nuclear plants by 2050 (1,000GW) – that means commissioning a new plant on average every 12 days for the next 33 years. It says this is what we need to mitigate global warming. MIT says annual emissions will increase to 64Gt per year by 2050 even if Paris is implemented successfully. For humanity the $8.2 trillion represents an opportunity cost. Precious time and money wasted. CO2 concentrations will grow by 34ppm in the atmosphere by 2050 while we’re waiting for those nuclear plants to come on line. The 6.15% offset will never be enough to reduce CO2 in the atmosphere by 34ppm. Although Stephen Marshall has said the NFCRC Dump proposal is “dead and buried”, Jay seems to think there’s still some life in it if he waits a bit longer, for bipartisanship and community consent. We need to make sure that this proposal is indeed dead and buried, by giving it a good funeral – burying it deep so that it never again raises its ugly head. Wear black, or yellow No Dump t-shirts. Bring black flags. Drums and bodhrans would be good, and any instruments that can play a funeral march. We will probably have a funeral procession afterwards – still to be arranged. · the Federal Govt’s proposed dump at Barndioota is still on the agenda, despite the opposition of the Adnyamathanha people, and other local residents. Although the Federal Govt calls this waste “low and intermediate” level, there is doubt that this is accurate by international standards, and what it means in terms of toxicity. But we want to strike another blow- shown our anger and show that we haven’t been deluded into thinking that it’s all over and we can pack away our banners and placards and go home. This is not a celebration – we know we have limited cause to celebrate – but a chance to show convincingly what we want – the Dump dumped!!! NOTE: Uniting Church Know Nuclear forum rescheduled for Nov 25th, now cancelled. Anti-Nuclear Coalition SA – Individuals and organisations united to oppose the nuclear fuel cycle, with a focus, in the present context, on nuclear waste dumps in SA. Scientists warn increasingly rapid melting could trigger polar ‘tipping points’ with catastrophic consequences felt as far away as the Indian Ocean, Guardian, Fiona Harvey, 25 Nov 16, Arctic scientists have warned that the increasingly rapid melting of the ice cap risks triggering 19 “tipping points” in the region that could have catastrophic consequences around the globe. South Australian Labor voters to vote Liberal because of the nuclear waste issue? Note that this issue is one of the few issues that would induce me to preference the Liberal Party over the Labor Party. I have never preferenced the Liberals in my life and do not wish to start now, but I feel I would have no choice if the South Australian ALP continues with the Premier’s current stance. I am therefore writing to you in the hope that you will persuade him to publicly reject an international nuclear waste dump, or oust him as Premier and leader of the South Australian ALP. I was grudgingly willing to cooperate with the Nuclear Fuel Cycle Royal Commission, even though I believed it was biased, in the hope that it would kill off once and for all the push for nuclear energy, uranium enrichment, etc. To a large extent it did that. Despite its strong pro-nuclear bias, the Royal Commission was still unable to recommend that SA pursue these nuclear activities. I was grudgingly willing to cooperate with the nuclear waste dump debate, which I also believed was biased, in the hope that South Australian citizens would reject the proposal. They have done that, despite the bias and the fact that the question posed to the Citizens Jury was loaded to produce a conditional go-ahead. Insider reports and the Citizens Jury’s official report suggest that the facilitation of the jury process was also biased in that direction. Unfortunately, this consultation process has down grave damage to the Premier’s own push for participatory democracy, including deliberative tools such as Citizens Juries. I supported the Premier in this, but the way this process was conducted and the Premier’s response have given Citizens Juries a bad name. Nevertheless, despite these flaws, ordinary citizens gave clear and independent voice to their views. The democratic process was thus enhanced in spite of attempts to manipulate the outcome. But the Premier’s response to the Citizens Jury’s verdict, and to the results of the wider consultation, has pushed me over the edge. I cannot support a party that will take South Australia down this track. I will preference Liberals at the next state election unless the South Australian ALP reverses direction on this issue. I imagine that I am not alone in this. With the Premier’s foolhardy policy you are risking dislodging rusted on Labor supporters. Please take action so that I and many others like me do not have to preference the Liberals at the next state election. How radioactive is the nuclear waste we got back from France? Federal government bribing Aborigines to accept nuclear waste dump? New poll shows Australians are greener than the Turnbull Government, Independent Australia Leon Moulden 26 November 2016, The latest Essential Poll shows a wide gulf between the Turnbull Government and the public on the role of green groups and proposed changes for the EPBCA. Leon Moulden reports. ONCE AGAIN, a new poll draws attention to the widening chasm between the Turnbull Government and the Australian public. Last week’s Essential Report poll on environmental groups uncovered a wide gulf between the Turnbull Government and the Australian public over the role of green groups. As a consequence, the Turnbull Government’s renewed interest in implementing the previous Abbott Government’s policy of silencing green groups by amending the Environment Protection and Biodiversity Conservation Act is in stark contrast to views held by the majority of Australians. Australians then responded positively to all four statements on environmental groups posed to them in the poll. With more than two thirds of voters supporting each statement. Their response was considerably positive with 74% of participants agreeing with the statement, while only 11% disagreed. Again a large majority of 70% agreed with the statement, while only 13% disagreed. A majority of 69% of participants agreed with the statement, while only 14% disagreed. A new report from a think-tank called E3G, which aims to accelerate the transition to a lowcarbon economy, says the Government needs to deliver new low carbon generation capacity as cheaply as possible. The UK will need new capacity capable of producing around 150TWh (terawatt hours = 1,000 million kWh) per year of electricity by 2030 – around half of all current output. All plausible scenarios imply that this can only be achieved by deploying a significantly increased volume of renewable generation – likely to be around 50GW, predominantly from a combination of onshore and offshore wind and solar PV. The E3G report says there is an increasing body of evidence that the system integration costs of renewable generation are low and that the power system can operate securely and at least cost with more than 50% of electricity demand being met from variable renewable sources. System integration costs are predicted to remain less than £10/MWh which means that not only is it possible to securely operate the power system with high levels of renewable generation, but it also represents the cheapest option. E3G shows that under the current trajectory onshore wind will be at least 22% cheaper than nuclear with offshore wind and solar PV providing savings in excess of 4% and 8% respectively, and savings will probably be even greater as the flexibility of the electricity system improves. Nuclear power plans in South Asia winding down. ASEAN shifting focus to renewables? ASEAN’s Nuclear Power Race: Winding Down For Renewable Energy? – Analysis As the world’s fastest-growing economic region, Southeast Asia’s energy demand will increase to drive this growth. While Vietnam’s push towards nuclear energy may have started a regional race to develop nuclear power, this may slow down somewhat now that Hanoi has decided to freeze it. ASEAN should shift its focus to developing renewable energy. By Cung Vu* On November 22, 2016, the National Assembly of Vietnam ratified their government’s decision to hold off the building of its nuclear reactor. Cost was cited as the main reason. Another possible factor could be the unfolding lessons from the event of Fukushima, and the safety and security of nuclear reactors in cases of intentional attacks such as cyberattacks or terrorism still need to be assessed. This is good news for the region. A possible regional nuclear energy race would now be avoided, and Vietnam’s neighbours would not have to brace themselves for a potential nuclear fallout. The region should now focus on developing renewable energy to meet its energy demand……. Much as I would love to completely ignore the Trumpomania that now grips the media, and at the same time, seems to paralyse political action, I just can’t – because climate and nuclear policies worldwide now stagnate, like ships in the doldrums, waiting for the new wind – of Trump’s inauguration on January 20 2017. The Marrakech climate talks, (follow-up to the 2015 Paris climate summit) produced the “Marrakech Action Proclamation”, and some ambitious national programmes, but were described as producing “defiance towards Trump, but little else”. Global green movement prepares to fight Trump on climate change. Trump’s climate denial is just one of the forces that points towards war. Unease amongst world leaders over Donald Trump’s nuclear policies, and appointments. On nuclear weapons, the UN General Assembly First Committee voted on Resolution A/C.1/71/L.41 (L.41) States adopted the resolution to hold negotiations on a nuclear ban treaty in 2017. Here at least, some ray of light regarding Trump’s attitude of wanting to negotiate with Russia and North Korea. –Perhaps Secretary General Ban Ki-moon can leave his office with an important victory at the end of his term by seizing this opportunity and encouraging the ‘deal maker’ in Trump to move forward with a US-Russia rapprochement, clearing a pathway for the elimination of nuclear weapons as well as putting an end to the hostilities on the Korean peninsula. CLIMATE. Turnbull govt – hails climate accord while rejoicing in coal industry! Trump plans to scrap NASA climate research: Australian scientists support NASA. NASA politely debunks Australian climate denying crank Senator Malcolm Roberts. Missy Higgins urges us all – read Naomi Klein’s “This Changes Everything”. Australian doctors warn about climate change and health. NUCLEAR. Australian uranium fuelled Fukushima. Now about to fuel dangerous Ukraine nuclear reactors. South Australia. The saga of the South Australian nuclear waste import plan continues – Michele Madigan. 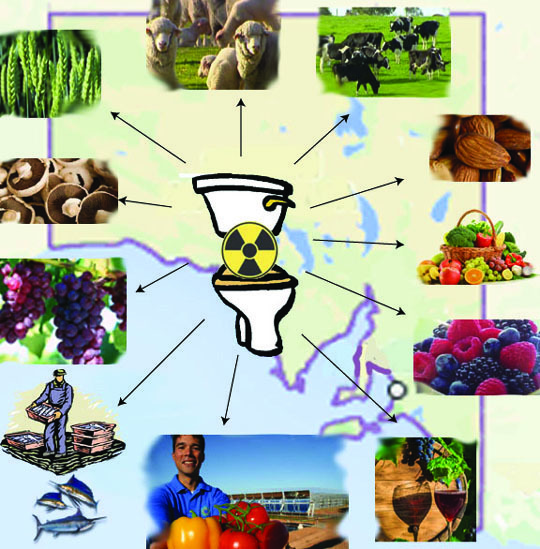 Michael West casts a satirical searchlight on South Australia’s nuclear waste import plan. Scarce and his pro nuclear Royal Commission not looking credible. Sunday Mail survey reveals opposition to nuclear waste dump. Political mystery of South Australian Labor tying the State’s prosperity to a nuclear waste toilet. Solar thermal plant is the best solution for Port Augusta. Western Australia Labor, likely to win State election, opposes all new uranium projects. Anti-uranium crusaders win top conservation award . Any plan to supply Australian uranium to such a fraught region deserves the highest level of scrutiny. Instead, we have tick-a-box paperwork and cut-and-paste assurances. Australia Just Signed A Uranium Deal With A Nation At War With Russia https://newmatilda.com/2016/11/24/australia-just-signed-uranium-deal-nation-war-russia/ By Dave Sweeney on November 24, 2016 We’re going to be sending uranium to the Ukraine. What could possibly go wrong, writes Dave Sweeney.